Fashion Knot Style Sneakers Just $21.99! Down From $50! You are here: Home / Instagram / Fashion Knot Style Sneakers Just $21.99! Down From $50! Until April 8 only! Hurry over to Jane to score this Fashion Know Style Sneakers for only $21.99 down from $49.99! Shipping is $6.99 for the first item and $3.99 for each additional item! 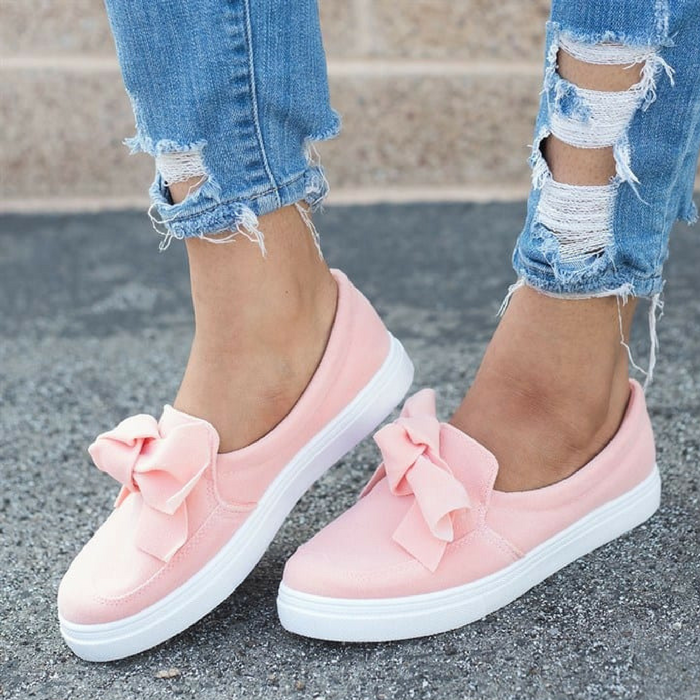 These knot style sneakers are super cute! They feature a faux suede body, rubber style sole, and slip-on wear. Pair these up with a pair of jeans and you’ll be able to run errands in style. We’re absolutely loving the look of these and think these can be the perfect pair of Spring sneakers!